Thank you for this blog about the Home and Colonial stores. One of the wonders of Dartmoor is the National Trust’s Castle Drogo near Drewsteignton. Construction began in 1911 by Britain’s best known architect Edwin Lutyens and the owner Julius Drewe. This was an epic project representing the ambitions and dreams of Drewe. This short post tells of the story of where Drewe derived his money to embark on such a grand scheme. One of the creative partners working at Castle Drogo is the established photographer Mike Smallcombe. Mike has recently been working in the garden and on the estate, gathering images to go towards a series of 10 large-scale photographs that will be displayed around the site. Mike’s conceptual journey began with ideas to represent the human story of Castle Drogo and create intriguing and rich images. The inspiration of these photographs will bring a wider understanding of the Castle, inspired by the people who lived there, the history of the estate and the landscape of Dartmoor. The team have been following Mike throughout his work as he focuses on particular areas of the Castle grounds. This image shows Mike working on angles, light and positioning for one of his ten photographs that will be installed and open to see at the Castle this summer. 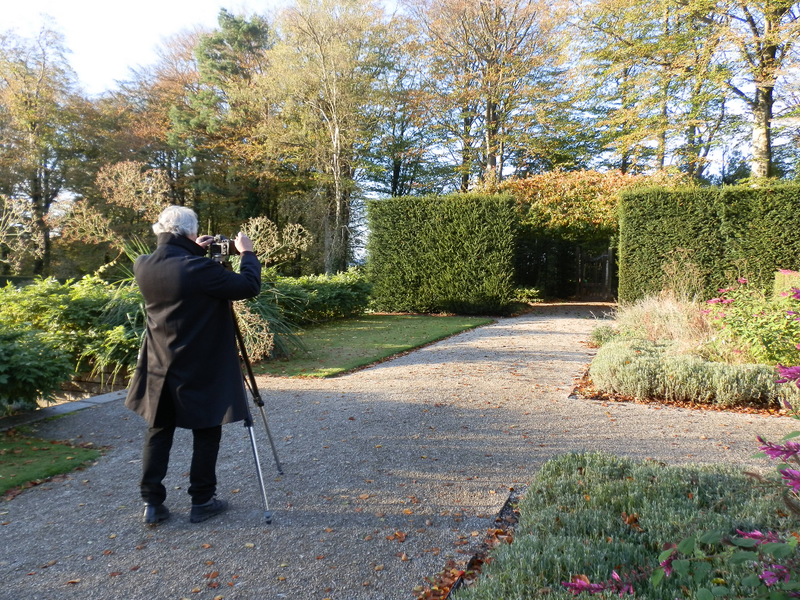 The photograph that Mike is working on in this image will interpret the Castle’s collection in the context of the formal garden. 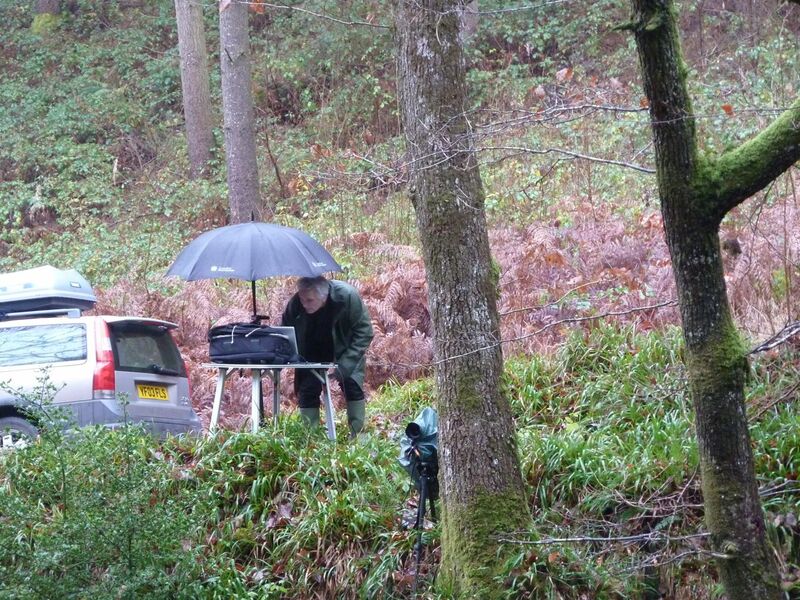 This second image, shows Mike working near Fingle Bridge on the Drogo estate. This image shows Mike positioned on one side of the bridge taking a picture of the forest on the other side. This photograph incorporates stories of the Drewe family in the setting of the estate. These photographs will ultimately capture references to historical stories inspired by Castle Drogo and the surrounding landscape, displayed in a contemporary setting. The team look forward to working with Mike throughout his development of his beautifully thought-provoking images. Creative partner, Jill Smallcombe, has been developing research to ‘deconstruct’ the history, techniques, symbolism and materials of the Char de Triomphe Armorial Tapestry. The tapestry was owned by the Drewe family in the 1900s and will be returning to the Castle in this March. Jill has visited the National Trust Textile Conservation Studio in Norfolk to see stages of the tapestry’s restoration. The studio team have dedicated 5 years of hard work on the tapestry’s conservation to restore its colour and imagery. Jill also had the opportunity to visit the Gobelins manufactory in Paris, where the tapestry was originally made, to research and find out about its history. Castle Drogo will host the grand unveiling of the unlined textile in March 2015 where visitors will be able to view both sides of the Tapestry. 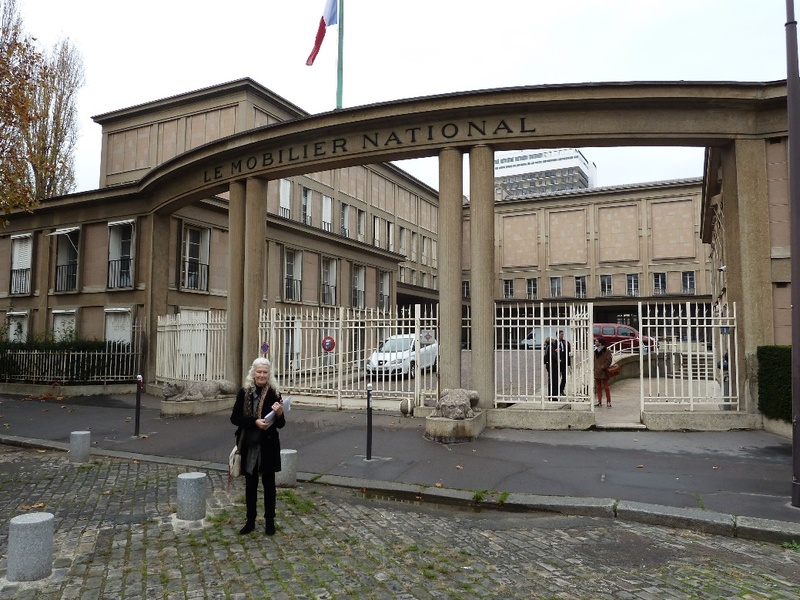 Jill outside The Mobilier National where she met Thomas Bohl, Conservateur du patrimonie. (Heritage Conservator). 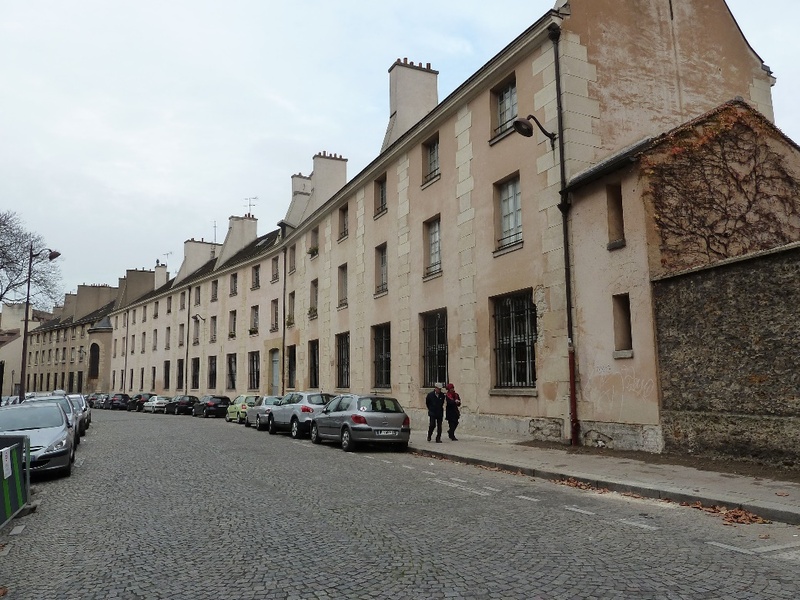 These buildings house the dye works, the chapel and weaving workshops at the Gobelins. 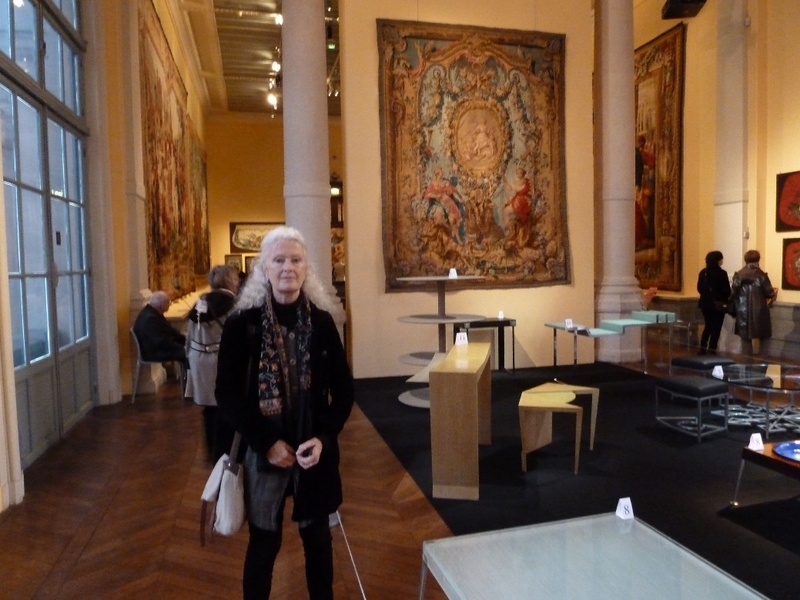 Jill visiting the Galerie des Gobelins tapestry and furniture exhibition. A sneaky snap-shop at a model-box in the making at Forkbeard Fantasy in Devon. Towards the end of December the Creative Programming Manager, along with other team members, made a visit to see the studios of fantastic creative teams MDesign and Forkbeard Fantasy. Both teams are busily working away in their studios producing new interpretational artwork for Castle Drogo. Both studios, based near Tiverton in Devon, have a range of exciting and adventurous works inside. The artists are developing their sculptural, interactive and humorous work. 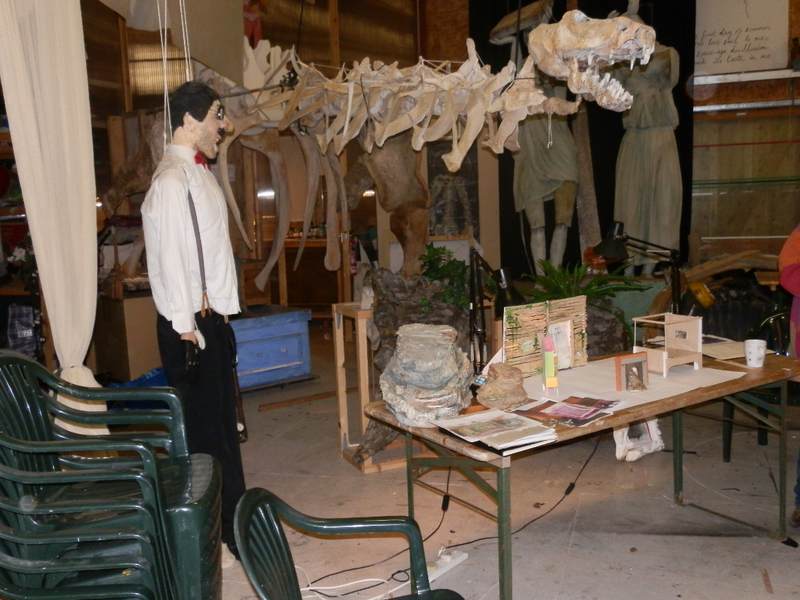 They showed the team glimpses of the drawings, sketchbooks, model boxes and animation studios. Forkbeard Fantasy, well known for their theatrical puppetry and animations, describe themselves in the most appropriate way as ‘Architects of Humour and Invention’. Their large enchanting studio is a play-ground of not just those with creative minds but to all. Generating the ideology that ‘anything is possible’, the artists at Forkbeard are working towards an engaging experience which will be translated into the sculptures they are producing for the Castle. The creative work to capture the history and progress of the building project at Castle Drogo is making fantastic progress and can be seen at the opening on 9th March 2015.